We reported on the acceleration and importance of Apple recently and we also heard that companies such as 360 Vision are already rolling out actual Mac versions of their DVR software…..
And don’t dismiss Android………Google is stomping along like a proverbial PacMan, eating up the remnants of Nokia’s Symbian platform(Nokia now putting Symbian to grass and adopting Windows – that might be a mistake!) and also taking a slice of Apple’s market as well !!! Keep an eye out this year for DVR apps for Blackberry, iPhone and Android – mobile access has never been easier! 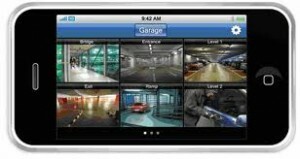 CCTV to go iPhone crazy! This entry was posted on Wednesday, March 2nd, 2011 at 00:20	and is filed under iPhone. You can follow any responses to this entry through the RSS 2.0 feed. Both comments and pings are currently closed.